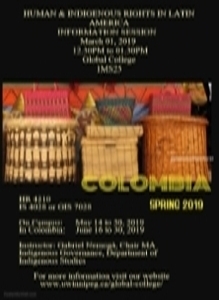 Due to unforeseen circumstances, Global College - Colombia Field Course will be canceled for 2019. Global College provides students, faculty, staff, visiting scholars, and community leaders with ways to interact on their diverse perspectives about global citizenship, human rights, and other issues affecting local and global communities. Global College offers various courses in Spring and Summer term 2019, check it out! Over 65 million people are forcibly displaced around the world as a result of violence, conflict, persecution, and war. 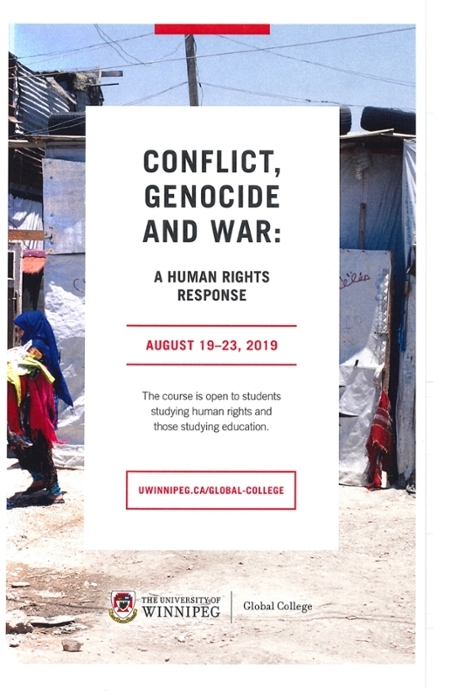 This course investigates modern day conflicts and the persecution of people on the basis of race, religion, ethnicity and nationality from both a human rights and an educational perspective. 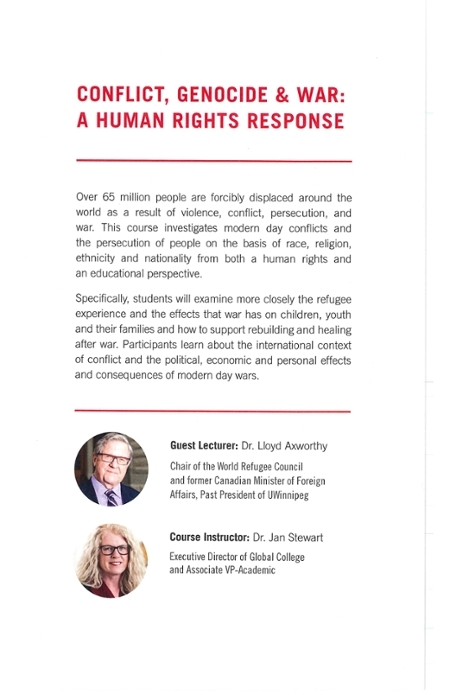 Specifically, students will examine more closely the refugee experience and the effects that war has on children, youth and their families and how to support rebuilding and healing after war. Participants learn about the international context of conflict and the political, economic and personal effects and consequences of modern day wars. Basic human rights, the provision of services, and access to education in emergencies are explored. The course also focuses promising practices that help newcomers and refugees transition to life in Canada. For more information on Global College events email us at global.college@uwinnipeg.ca, explore this website for events and for relevant links, sign up for our monthly newsletter, or give us a call at (204)988 7105. Welcome to our world of learning and action!